Music. And old lotts have funn at Flammagen's ball. 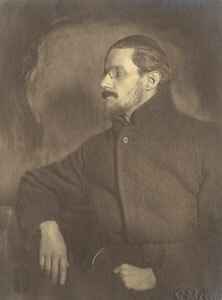 Given Joyce's musical patrimony — his own fine voice and talents as a musician, his father's considerable and near-professional skills as a singer, his encyclopedic knowledge of musical matters, and the rich musical milieu in which he grew up — the profound influence of music on the shaping of his works should come as no surprise. The number of books that Joyce wrote in his lifetime is small compared to the output of virtually any other author one can name. But what books! In prose, with each new work he pushed dramatically past the boundaries he had set for himself in his previous endeavors, stylistically as well as thematically. Between Dubliners and Finnegans Wake there is both continuum and continuity: continuum from the local (people of Dublin) to the universal (Here Comes Everybody) accompanied by an evolution — and revolution — in technique; continuity in that his characters, locales, and subject matter always remained distinctly Irish and of his time, while Joyce, as artist, never swerved from presenting them in a language that is aesthetically pleasing, exquisitely precise, and, as Ezra Pound characterized it, "free from sloppiness." This same pattern of continuum/continuity marks the role that music plays in most of his works. The poems of Chamber Music are not just song lyrics waiting to be set to music; reading them aloud, one can readily perceive from their sensibility and diction that they are a type of music in and of themselves. Then, starting with Dubliners and in each successive prose work, Joyce makes increasingly subtle and demanding use of music to carry his tales forward, culminating in Ulysses, where it becomes absolutely integral to the storytelling, especially in the Sirens episode. Finally, in Finnegans Wake, where the very name of the book is borrowed from the title of a popular broadside ballad, and in which thousands of musical allusions are woven into its tapestry of universal history, we come full circle. For, like Chamber Music, it really is less a piece of writing than a kind of music, an epic prose chorale. The book begs to be performed, the inert words on the page recited aloud in order to be brought to life and fully appreciated. In fact, that is exactly Joyce's advice: "It is all so simple. If anyone doesn't understand a passage, all he need do is read it aloud." Good advice — and a timely reminder that Joyce was not simply writing books to keep scholars busy. He was writing to enlighten, and to entertain. The 36 songs drawn from his works that are discussed and performed on this site should be hint enough of that.